Hychka S. H., Nekhaienko M. I. Objective: to study the features of clinical and cytological characteristics of the gastric mucosa in chronic gastroduodenitis in adolescents with chronic candidiasis of the digestive tract. Materials and methods. In total 164 adolescents with chronic gastroduodenitis were examined, including 22 patients with the Helicobacter pilory association, 32 children with Candida–Helicobacter pylori infection, 78 — with chronic candidiasis of the digestive tract, and 32 noninfected patients. Diagnosis of chronic candidiasis of the digestive tract in case of its clinical signs was carried out by an accessible, simple and cheap method of cytological examination of the oral mucous membrane scraping and the gastric biopsy sample prints taking during the endoscopy. Results. In adolescents with chronic gastroduodenitis and infection tropic to the digestive tract mucosa caused by Helicobacter pilory and Candida, there were destructive diffuse lesions in form of multiple erosions revealed, combined with hyperplastic gastric and duodenal mucosal changes, the frequency of which correlates with the duration increasing of chronic gastroduodenitis and does not depend on Неlicobacter pylori detection. Conclusions. In the chronic gastroduodenitis development and progression in adolescents, not only Helicobacter pilory, but also other microorganisms play a crucial role. This suggests the differentiated pathogenetic treatment need of the disease. Key words: adolescents, chronic gastroduodenitis, chronic candidiasis. 1. Babiy IL, Kalashnikova EA, Fedchuk IN, Velichko VI. (2010). K voprosu o terapii kislotozavisimyih zabolevaniy organov pischevareniya u detey na sovremennom etape. 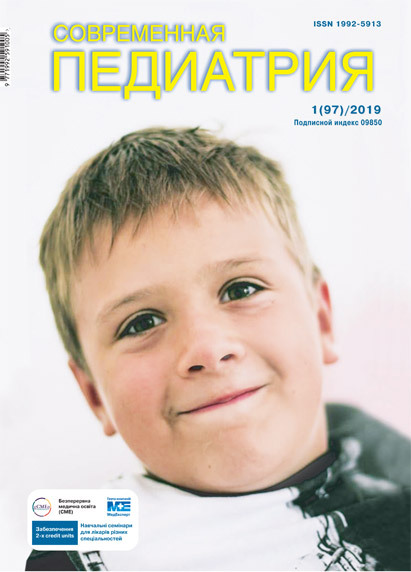 Perinatologiya i pediatriya. 1(41): 132—135. 2. Beketova HV. (2012). Khronichnyi hastroduodenit u ditei i pidlitkiv: epidemiolohiia, etiolohiia, patohenez, diahnostyka (ch. I). Dytiachyi likar. 6: 20—24. 3. Beketova HV. (2012). Likuvannia khronichnykh hastroduodenitiv u ditei i pidlitkiv (ch. II). Dytiachyi likar. 8: 13—15. 4. Beketova GV, Savichuk NO. (2009). Kandidoz organov pischevareniya u detey i podrostkov (klinicheskaya lektsiya). Mystetstvo likuvannia. 2 (58): 36—38. 5. Beketova HV. (2016). Ekozalezhna patolohiia: khronichnyi hastroduodenit u ditei i pidlitkiv (prychyny vynyknennia, osoblyvosti klinichnoho perebihu, diahnostyka, diieta, medykamentozne likuvannia, profilaktyka) (klinichna lektsiia). Chornobyl: ekolohiia i zdorovia. 4: 58—72. 6. Beketova HV. (2013). Kliniko-patohenetychne obgruntuvannia dyferentsiiovanoi terapii khronichnykh hastroduodenitiv u ditei (kliniko-eksperymentalne doslidzhennia). Kyiv: 399. 7. Grinevich VB, Uspenskiy YuP, Sas EI. (2003). Klinicheskaya effektivnost pimafutsina v sostave kompleksnoy eradikatsionnoy terapii yazvennoy bolezni. Farmateka. 7: 17—19. 8. Denisova MF. (2015). Zabolevaniya gastroduodenalnoy zonyi u detey: vremya diktuet nam novyie zadachi. 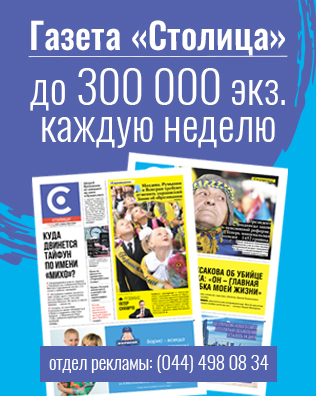 INFOMEDIA Zdorovia Ukrainy. http://health-ua.com. 27.03.2015. 9. Shevakov MA. (2010). Kandidoz slizistyih obolochek pischevaritelnogo trakta: klinicheskoe znachenie i sovremennyie metodyi lecheniya. Farmateka. 2: 83—87. Article received: Jun 24, 2018. Accepted for publication: Sep 11, 2018.